For those who are similar to me, you will loathe seeing photos of such stiff and fake, prom-like poses and plastered smiles on couple’s faces. That type of photos looks fake simply because they’re fake. But for the time being my goal for my photography work is actually to capture real, natural emotion. The photo express with love stories in the most authentic way you can, that is true to each and every couple that will get looking at my lens. Over time through a great deal of error and trial, I’ve found out the methods to capture my couples in the natural, candid way. There isn’t posed and forced, or stagnant in the process. Since I have confidence in the strength of education and photography industry as a whole, I would like to give you 6 tips to take your photo. I prefer for every certainly one of my sessions for much more authentic, natural poses un-poses from my clients. Let’s begin! 1 Be sure to figure out what you need! Wedding photos should not be just wedding photos, but a new kind of love travel with a photographer in a city of their own love. Couples must figure out what they need before taking the wedding photo. Most of the couples want wedding photos with joy. Couples hope that the camera records happiness and wants to tell the world that they are married. Therefore, when choosing a photography studio or a photo studio, it is necessary to take a look at their guest photos. Don’t cover up your own characteristics. We have encountered some customers who are pursuing fashion and would like to try some “fast fashion”, similar to green eyeshadow black lips. But! Think about whether this color match is right for you. And when you look at photos over the years, isn’t this makeup popular? Make-up artists give the most professional advice based on each person’s different facial features to choose the right makeup. And it is very important to communicate with the makeup artist before makeup. A set of wedding photos may contain different post-tones with different scenes. Couples must choose the color that suits them before shooting. For example, if you are a lively and cheerful character, the color should be dominated by bright sunlight. If you are a noble and glamorous appearance, the color should be dominated by high-grade dark colors. The photographer will shoot according to your preferences. In the selection of photography studio, you need to understand the photo delivery deadline. Generally, wedding photography has a delivery period. If you want to get the favorite pieces early, remember to tell the photographer what needs to be modified. This is also to avoid wasting unnecessary waste in the back and forth modification. 5 Pick your photo location carefully. According to people who have taken wedding photos, it is not a bad thing to take a wedding photo, but it is physical strength. You can imagine wearing a thick gown with grand makeup, running from one location to another. During the period, it’s hard to keep styling and laugh out. The result of this rush is that the final photo is just to complete the task. Therefore, choosing a few places that are meaningful to couples is the best way to remember good times. 6 The cooperation of all men. The bridegroom actually plays a very important role in wedding photography. If the bridegroom thinks “He is his wife’s photo props”, the photos will not be natural. The only photo of the bride is called a personal portrait. The bridegroom needs to actively mobilize the bride’s emotions. It is important to cooperate with each other during shooting. Last but not least, it is to find a professional photographer who will take your pictures. 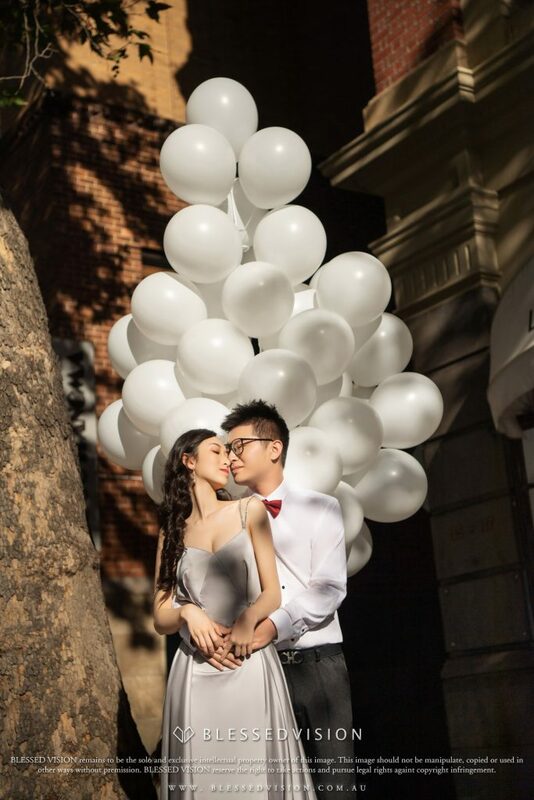 Professional photographers will be prepared to discover the most beautiful side of the couple, especially the bride. The most beautiful photos are the love of the eyes between the couples, the intimacy of the body movements, and even the inadvertent earings between them. A good photographer needs to adjust the atmosphere of the shooting scene to ease the tension of the new shooting. The experienced photographer will guide the couples to the most natural posture and expression in front of the camera.